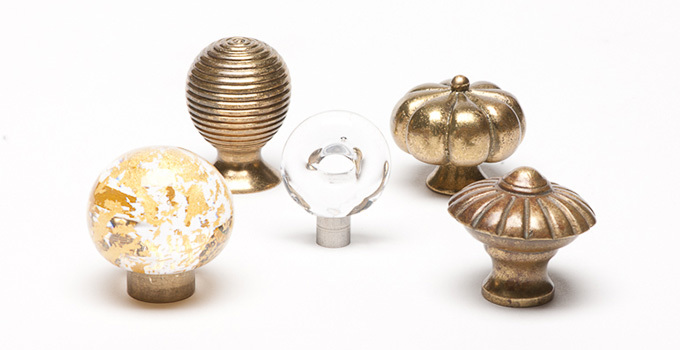 Our range of cupboard knobs are designed to both complement their door knobs and be used on their own. Metal and wood knobs are available in all our standard finishes and glass can be blown in any colour to suit your schemes. Hand blown cupboard knobs have a ten percent variation in sizes but we try to make sure that the glass knobs in a set are very similar in size. Please contact us for individual images of our cupboard knobs collection.